To address this need, the Children's Hospital of LA established the Armenia EyeCare Project. Ophthalmologist Thomas Lee, the current director of the hospital's Vision Center, serves as the head doctor on this project. When Dr. Lee visited Armenia for the first time, he discovered that the few surgeons in the country didn't have the specialized training required to operate on this condition. He also found that most of the cases of infant blindness occurred in rural areas without access to proper medical care. 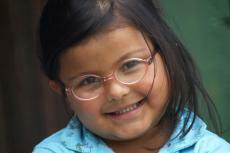 Eye surgeons need to act with incredible speed to save a child from blindness. There's only a 48-hour window of opportunity to perform a potentially sight-restoring surgery on a newborn child. If the doctor misses this opportunity, then the child will be blind for the rest of his/her life. Thankfully, the doctors in LA discovered a way to effectively help train surgeons in Armenia. SADA Systems provided the hospital with a telemedicine system to help American doctors train Armenian doctors via Skype. Whenever an Armenian surgeon needs help, s/he can contact the Children's Hospital of LA using Skype for Business through a Plycom codec. This allows the Armenian surgeons to get virtual assistance from Americans while performing surgeries. SADA Systems' hardware compression allows doctors in both countries to see each other in high-definition without any lag time. Also, since this program works through Skype for Business, remote experts can log into a video conference from their home. Another great feature of this SADA Systems technology is that doctors can multicast their video conferences to other medical professionals. This helps spread accurate information on how to perform this eye surgery to dozens of doctors around the world. Lee says the multicast feature will greatly enhance how surgeons train students in the 21st century. With this technology, Dr. Lee says that, "Experience that would normally take a trainee months to acquire through different experts can now be addressed in one operation." Lee and his colleagues are excited about the future growth of telemedicine. They all believe this new technology will help address the two main issues doctors have spreading quality knowledge to surgeons around the world: cost and access. SADA Systems is both a cloud partner and technology consulting firm headquartered in North Hollywood. For this project, SADA Systems teamed up tech giant Microsoft. The Children's Hospital of LA is one of the largest pediatric multispecialty hospitals in the world. There are currently over 560 physicians in this hospital's staff. There are 32 areas of specialty and 31 areas dealing with complex conditions at this hospital.